Musician, Shakey Graves plays at the Santa Barbara Bowl. We caught up for an interview the week before his show. Learn about the latest discoveries in neuroscience and new research findings about human consciousness in thid interview with professor Michael Gazzaniga about his new book "The Consciousness Instinct." Written for University of California's campus-wide publication, The Current. The Montecito Journal quarterly edition: "Living HER Dream: An interview with Sophie Haber"
An interview with Montecito native, Sophie Haber, about her leap into the unknown, recounting a bold move to the hinterlands of Byron Bay, Australia—leaving behind a burgeoning modeling career in New York city to take a chance on a new life of living closer the land, her love, and to her art. Published in the latest issue of Impact Magazine, this article takes a look into an innovative new Santa Barbara-based company Apeel Sciences, a nature-inspired technology companay seeking to help revolutionize shelf life of fresh produce, helping feed more people with less resource output. Includes insights from founder, James Rogers. 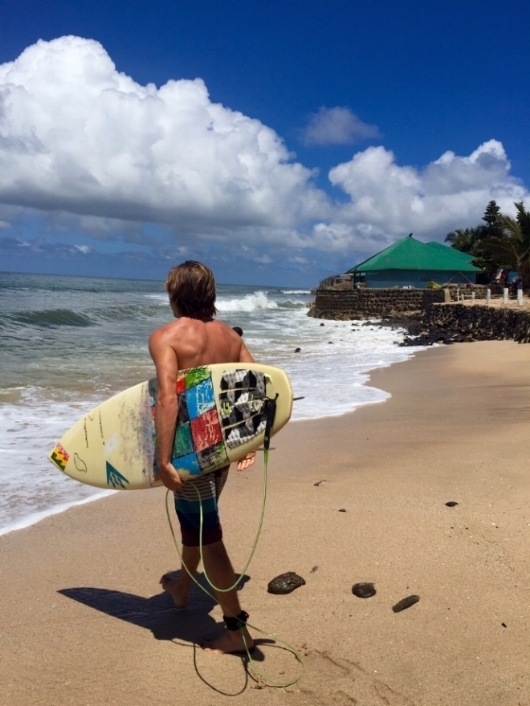 | Surfing Senegal: Dreaming of an Endless Summer | Highlights and helpful tips for surfing and traveling in the lesser known surfer's paradise of West Africa: Dakar, Senegal. For anyone who has watched the iconic 60's classic surf film, Endless Summer, you'll be dreamily transported back to the opening scene of the film, but through the eyes of two wave-hungry wander-lusting modern travelers. From the Art and Style section of IMPACT MAGAZINE Issue #2 comes the story of family owned-and-operated Make Smith Leather Co., creators of hand-crafted leather goods. This local Santa Barbaran family has been in the business for three generations now, offering proof that we are living amidst a rebirth of appreciation for craft and quality. Featured in Issue #2 of IMPACT MAGAZINE, a publication born at The Impact Hub Santa Barbara. In this interview with Sherry Villanueva, owner of ACME Hospitality and Loquita, Santa Barbara's newest restaurant concept, learn more about her inspiration for a restaurant that educates and delights is customers with the best of Spanish cuisine. Elevated men's beachwear. Made in California. Santa Barbara LOVES to Sweat! This issue is all about FITNESS and healthy Living in Santa Barbara! Learn more about some of the premier boutique fitness programs in town and the health-nut entrepreneurs behind them who make it all happen. We are truly blessed to be in this beautiful fitness-mecca-of-a home-town, with so many great options for getting sweaty and fit! An inspired interview with Alonzo King, choreographer extraordinaire...and my new guru. 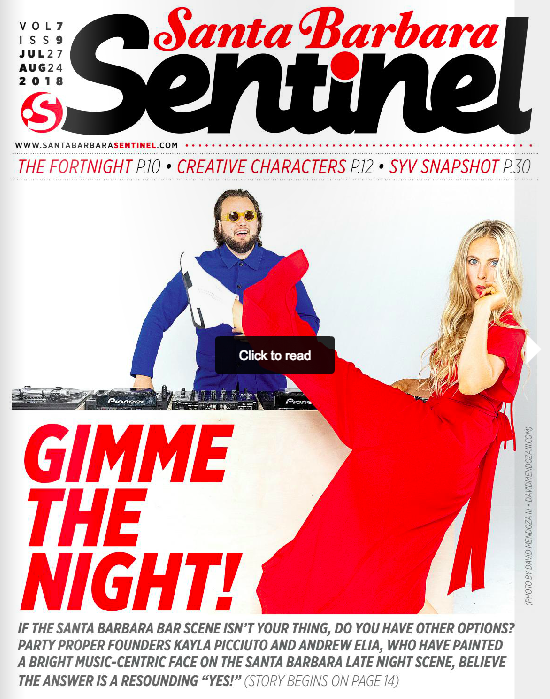 This is one of my favorite interviews I've done with the Sentinel. Alonzo King opened up my mind and heart and reminded me of the greater meaning we all seek in the work we do..
Get the scoop on SB's new "It agency" in town..
MADE IN SB: "Parker Clay: New for-purpose brand opens a strorefront in downtown SB, offering artisanal leather goods hand made in Ethiopia." Cover Story// "Loving Lovelace: Trim Shop Surfboards gives hand-shapers a happy home"